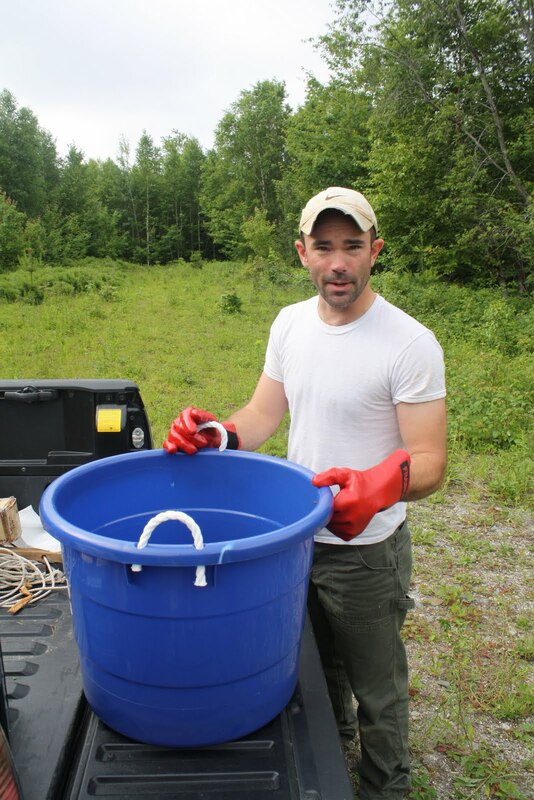 The Maine Outdoorsman: Snapping Turtle Alert! As the sun edged over the horizon, shooting liquid sunshine through the venetian blinds and into my tightly closed eyes, a beam of light began boring a hole into my subconscious, shifting my dreams to thoughts of BBQ. As I began to imagine the faint smell of slow roasted brisket, my mind snapped awake and I abruptly re-entered the conscious world. Looking at my watch, I was happy for not over sleeping and quickly threw on my camo clothing, grabbed my rifle and headed out the door in pursuit of Washington County’s health population of coyotes. Before jumping on the ATV, I ran into my brother whom was relieving himself off the back deck, I quickly reminded him he needed to recast the turtle lines into the murky depths as I was obviously busy. As I cruised away, I never gave our conversation another thought. Grabbing a knife, to defend myself against the beast, I mustered up my courage and headed for the lakeshore. A solid 50 yards away, I could hear the monster banging against the dock, in a desperate attempt to free itself. Grabbing the pole, I frantically began pulling in the line. Half way through the involved process, I noted the creature had managed to become knotted around the docks pylons and I had to choke back a reflex to stick my hand in the water to untangle it. After several minutes of pulling and poking with a long stick, I managed to finally free the beast and throw it up on the dock. It immediately began hissing and gurgling and basically making all of the noises you would expect from a majorly pissed off prehistoric creature. 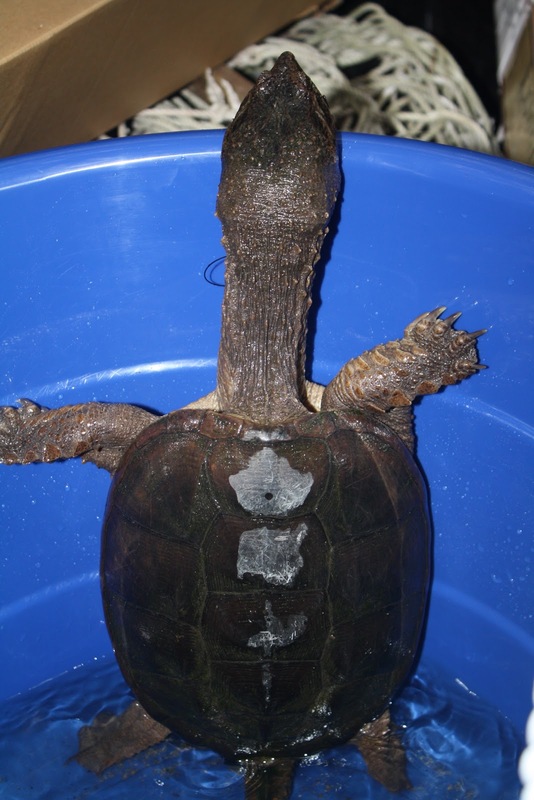 Grabbing the angry turtle by the tail, I lifted it high into the air and wedged it firmly into a 5-gallon bucket. Thus secured, we headed back to camp, so I could examine the other specimen. Though not as large as the male bucket dweller the “smaller” female snapping turtle was still a beautiful specimen. What the female snapper lacked in size, she certainly had in speed and tenacity. After a brief session, marveling at their ability to effortlessly snap through a large stick, I pondered if I would ever go skinny dipping again in anything but a bathtub. After this brief revelation, I grabbed a hatchet and my brother and I were off to a remote spot to skin, slice and carve up our prey. East Grand Hornpout with Black Spot Disease?